PPI provides consulting services on project management, process management, and innovation. A normal PPI consultancy starts with PPI conducting an evaluation of current business practices and processes. This evaluation often entails comparing the processes to industry standards or benchmarks. An improvement path is selected based upon the client's strategy and business environment. Then the appropriate projects, training, and systems needed to progress down the path are identified. One area of emphasis in our consultancy is the creation and support of a digital transformation strategy. This strategy is more than just an IT upgrade, although it will often include changes and upgrades to IT systems. However, to be able to compete with "digital native" and "digital giant" companies, a comprehensive strategy that includes changes to produts, processes, personnel and infrastructure is normally needed. PPI will assit by conducting an assessment of current digital practices and the readiness for organizational change. We then work with the company to create a strategy and roadmap for digital transformation. PPI has relationships with over 150 suppliers of digital servies and products and can assist the client with identifying partners to assist them in the implementation of the strategy. Another type of consultancy is the establishment of a consistent project management methodology. These consulting projects are typically performed by applying best practices or maturity models. When conducting New Product Development consultancy, PPI uses a scorecard for evaluating current business practices. The scorecard has been developed based upon the PMI Project Management Body of Knowledge and industry best practices for product development. PPI has assisted in the establishment of Project Management Offices (PMO). In these consulting projects, business practices and processes are changed or introduced that are compatible with the corporate philosophy of project management and process improvement. 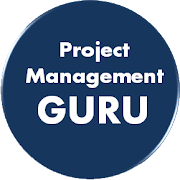 All project management consulting is consistent with the Project Management Institute's Project Management Body of Knowledge (PMBOK). Excellent process management is a core competency for sustained business performance and improvement. Whether the process is taking an order, manufacturing a product, conducting administrative processes, or any other business process, process management is needed to sustain the business. PPI's process management consulting focuses on understanding the business process of interest through process mapping, value stream mapping or value creation mapping. With the process understood, improvements are made at the required points and measurements are established to provide continuous real-time information on the process health. Depending upon the nature of the process, techniques such as Lean Manufacturing, Advanced Problem Solving, Six Sigma, Re-engineering or Constraint management are applied. Since most improvement efforts require some level of organizational change, change management and leadership issues are typically addressed. The cycle of change and situational leadership are used to identify the organizational and personal issues that are essential to a successful implementation of the new initiative or product. Consulting engagements can be contracted by the project or on a time and material basis. Recent consulting clients include Predictive Index, Orpheus, Johnson & Johnson, Medtronic, Instrumentation Laboratories, Kaman Aerospace, LeTourneau University, General Electric, and Endologix.